Our MD, Dr Xiabing Huang was an invited speaker and gave a presentation at Rande 2015 in Třinec, Eastern Czech Republic recently. The meeting also provided an excellent opportunity for collaboration and discussion with our distributor in the region, Scanlab. Rande 2015 is a meeting for Wound Healing and the Diabetic Foot, attended by 200-300 clinical delegates from Czech, Slovak and Poland. Dr Stryja was the organiser of the conference and is a leading wound healing clinician. Even more recently, Scanlab attended the Czech and Slovak angiogenesis conference. We understand that there are over 500 delegates and they have a hands on workshop with moorFLPI-2 laser speckle. Pleasantly surprised that there are a lot of research activities in Czech and Slovak, Scanlab have decided to purchase a moorFLPI-2 demo unit to better service the demand. 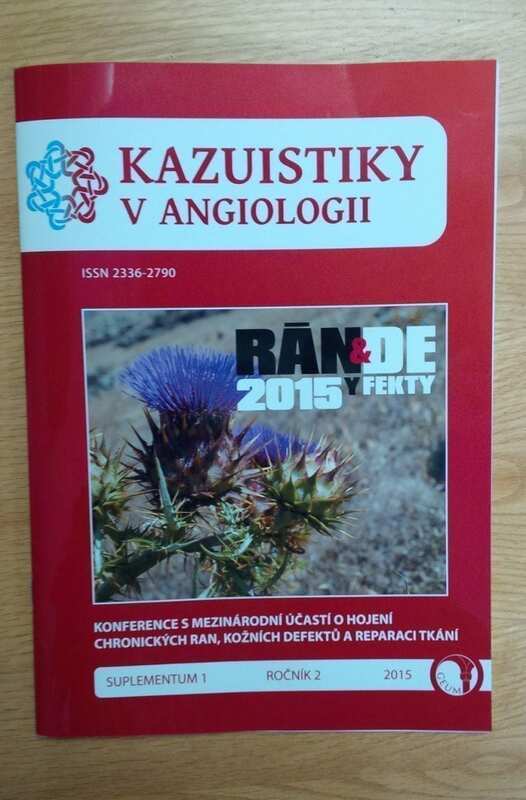 Get your copy of Kazuistiky V Angiologii to see Xiabings abstract!